I want to share my go-to self-esteem tips with you today. Realizing how far I've come and how much I can actually accomplish when I put my mind to it, is always a HUGE confidence booster for me. I'm sure it's no different for you. To be honest, there's a lot each and every one of us has done over the past few days, weeks, and even years that we can be proud of. Yet we often don't see it. 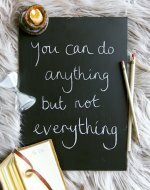 There always seems to be so much left on the to-do list and to be perfectly honest, the stuff we didn't do, or the things we failed at often stand out much more than our successes. It's time to change our perspective and focus on the wins and how far we've come already. Examples? How about swimming, running, dancing, cooking, gardening, climbing, painting, writing... If possible, it should be something that holds your attention and requires enough focus to get you into that state of "flow" where you forget about everything else. 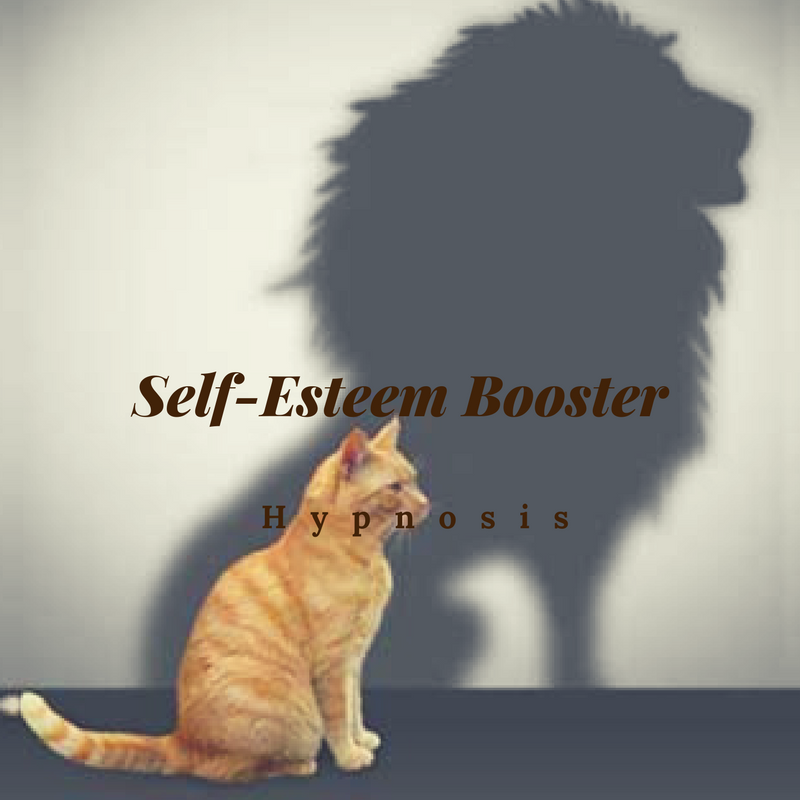 You will feel more competent, accomplished and capable afterwards, great antidotes to low self esteem! And while you're at it, seriously consider doing something like this at least once a week. People who experience "flow" regularly seem to be happier and healthier. I know this sounds strange, but low self-esteem is often accompanied by too much focus on the self. Doing something that absorbs you and holds your attention can quickly make you feel better. When you are properly relaxed, your brain is less emotional and your memory for good events works better. A great "rescue remedy!" 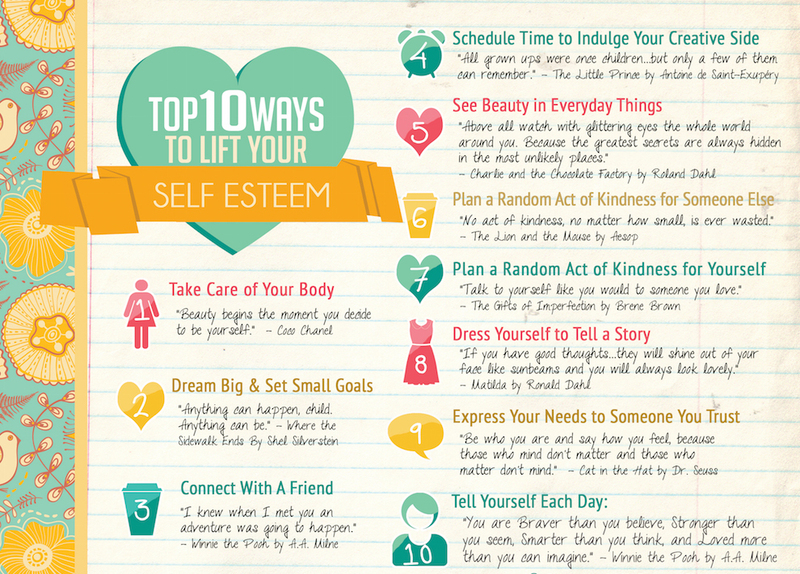 This can be difficult at first, but after a while, you'll develop a handy mental list of self-esteem boosting memories. And if you're thinking "But I've never achieved anything," I'm not talking about climbing Everest here. 7. Remember You Could Be Wrong! The simplest way to make sure you see and notice what you've accomplished and how far you've come is to get in the habit of spending a few minutes either in the morning or right before bed for reflection and gratitude. When you wake up in the morning, before you jump out of bed, while you're drinking that first cup of coffee, or even while you're taking your shower, think about what you've accomplished and what you're grateful for. I like this morning habit because it sets a positive and confident tone for the whole day ahead. If that doesn't work for you, try it at night, before you fall asleep. Make it a daily habit and watch your confidence grow. If you're the type of person who needs to see it in black and white to believe it, give journaling a try. Spend a few minutes each day writing down your wins. If you're trying to establish better habits, try a habit tracker. You basically set up a grid with the habits you want to establish and little check boxes next to them. Grid paper and excel spreadsheets work well for this. Then, as you complete your habit for the day, you get to check it off. It can be very motivating to see a month's worth of little checkmarks on your habit tracker. Last but not least, consider getting your own personal cheerleader. No, I'm not suggesting you hire a person with pompoms to follow you around everywhere. Instead, find a good friend or family member who's encouraging already and ask them to cheer you on. Give them a call whenever you're feeling low, or don't want to do something so they can encourage you and cheer you on to give you that boost of confidence to do what you need to do. Of course, they should also help you by pointing out how much you've accomplished already.